Absolutely love Lusine's sound, aka Jeff McIlwain, and he's been one of my favourite US producers for a while now. Was pretty excited to see Ghostly Records release this a few weeks ago. A lot of the tracks have appeared on earlier releases, B sides and the likes, but all and all it's essential fodder. 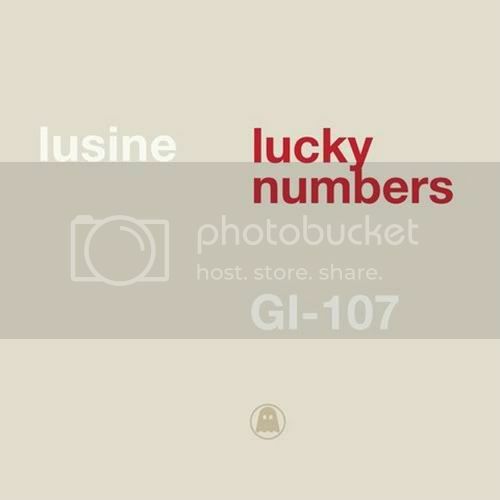 Lucky Numbers’ tracks pull from Lusine’s equally vital past and present. McIlwain remixes himself in alternate versions of the sublime singles from 2009’s A Certain Distance, “Twilight” and “Two Dots” – both featuring Vilja Larjosto’s pristine vocals—and in an alternate take of haunted-house creeper “Crowded Room”; and unreleased tracks “John Doe” and “Rubberbands (Dirty Mix)” round out the collection. Lusine’s work may be hard to pigeonhole stylistically, but as a work of genre-defying art and floor-filling ingenuity, Lucky Numbers couldn’t be easier on the ears.